Here in Los Angeles, the hot weather is already in full-force. The sun down here doesn’t mess around either, but fret not. My boys and I discovered this heatwave is just another great excuse to gorge on frozen desserts. We’re easily bored by the ol’ standby: plain old plastic-wrapped popsicles. 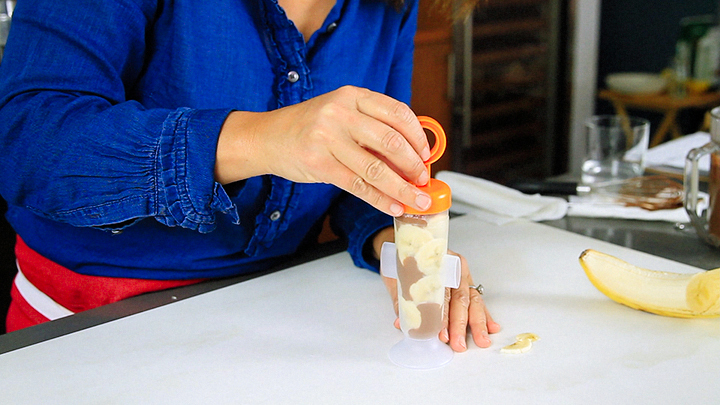 This week, we ventured into new territory: banana almond fudgsicles. Oh, was it worth it. For this recipe, I used Blue Diamond almond milk. I love the way it gives the whole fudgsicle a sweet, nutty flavor that goes so perfectly with the banana. This is way beyond your basic popsicle, folks, if you’re still unable to tell. Then pour the whole thing over your chopped chocolate bits. 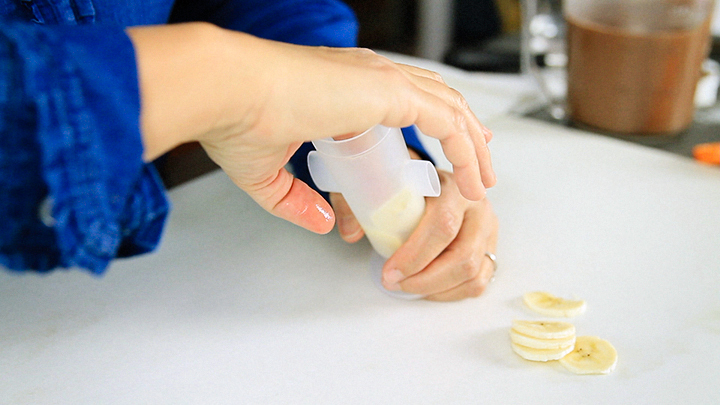 Slice your bananas fairly thin, and then gently press them into the side of the popsicle mold. 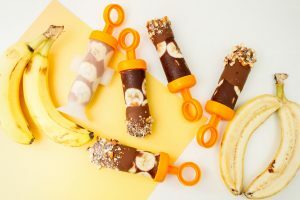 This gives the finished fudgsicle an impressive-looking finish, and allows the bananas to be licked off the sides (this turns into an added bonus- treats you’ll enjoy on a hot summer night). Once your fudgsicles are frozen, take things up one more level by dipping them in melted chocolate and sprinkling them with chopped almonds. I’m telling you, it’s almost like an ice cream sundae in popsicle form. These are great for summer BBQ’s too – they’ll resonate well with adults and kids alike! If you’re not ready to eat your banana almond fudgsicles right away, store them on a piece of wax paper in the freezer to keep them from melting. 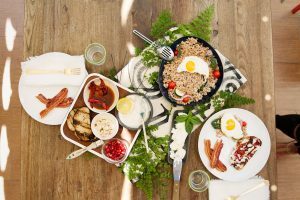 Then serve ’em up and enjoy a cool(er) evening in the yard with the fam. 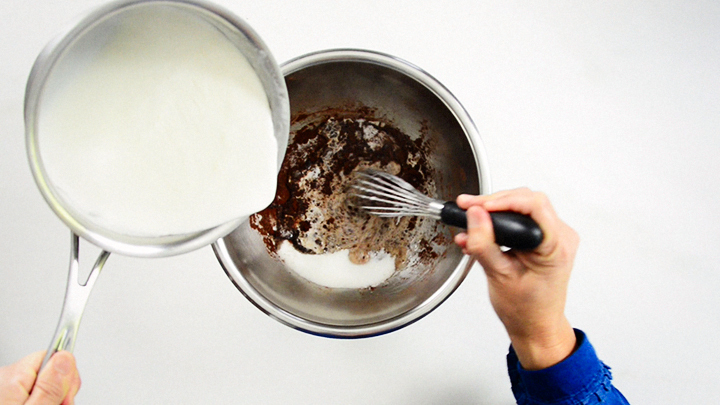 1In a saucepan, whisk together almond milk, cream, and sifted cornstarch. Bring to a boil while whisking vigorously. Remove from heat once it reaches a boil, and whisk in cocoa powder, sugar and salt. 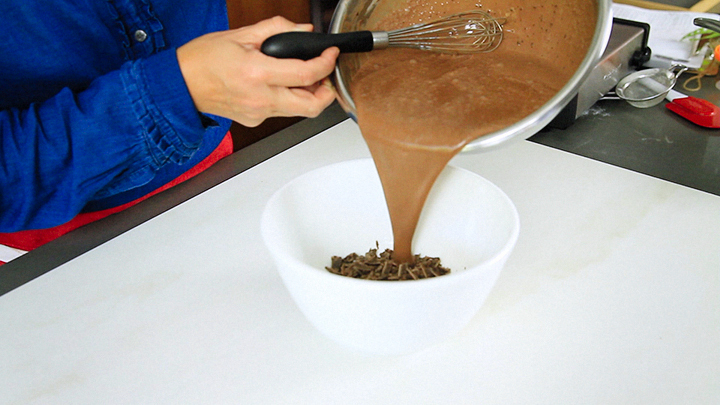 Whisk vigorously and then pour over chopped chocolate in a large bowl. Let it sit for a few minutes to allow chocolate to melt. Mix until it has melted. Let mixture sit for 5 minutes to cool. Then strain. 1Slice banana into thin slivers and line the popsicle mold. Pour in chocolate mixture and place in freezer until frozen. While waiting, melt the dipping chocolate. 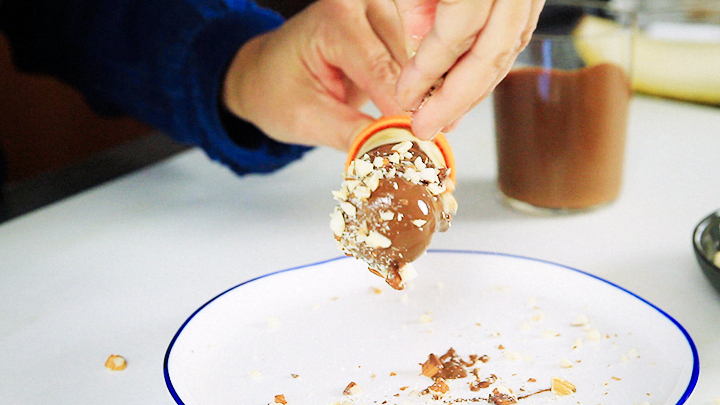 When they're frozen, unmold the popsicle and dip into dipping chocolate. Then lay the popsicle in the nut mixture for even coating. I’m trying to stay away from dairy, and I love almond milk (and coconut). Do you think if I omitted the cream it would take away too much? Please say no! I love the taste of chocolate, nuts and bananas. No I think you could easily substitute the cream for coconut cream. The chocolate and banana flavors will still pop! I love these popsicles! I’m currently melting out here in this Cali heat and my mouth is watering looking at these! 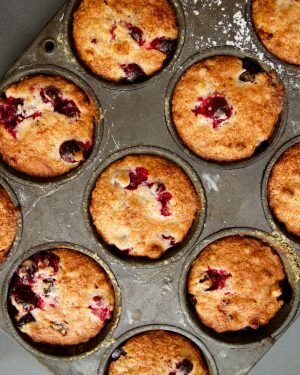 Plus they look totally easy to make. Yay. Don’t melt away Kendall! Promise me you will make these and stay cool. I’m currently obsessed with popsicles right now. I pretty much eat one everyday in this hot weather so I can’t wait to try this out. Looks so yummy! Me too. They are such a great summer snack and we are roasting in Cali right now so this is a perfectly delicious way to cool down. 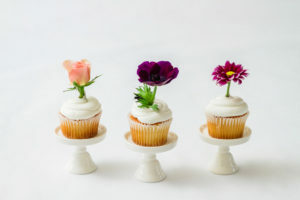 These look so delicious Cindy and so fun! Wish I could grab one right off the screen! If I could send it to you, I would! You are too sweet. Hopefully that beach breeze if keeping you cool. This is a perfect hot weather treat. You feel very little guilt enjoying the bananas and chocolate! Couldn’t agree more Julie! Thanks for commenting and I am glad you can make this with a big-smile. Really, they look awesome, such great classic flavour combinations too! Thanks Brian. For sure this flavor combo is a classic. 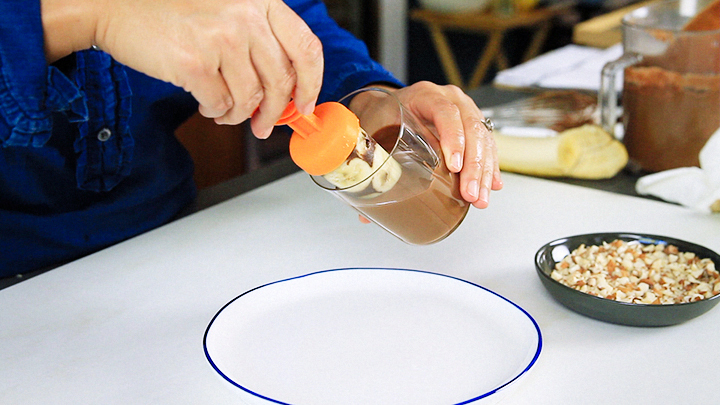 I grew up on frozen bananas so this recipe makes me feel a bit like a kid again. Looks perfect for the cold weather and has protein from the milk and fruit too. Could you substitute anything for the cream like yoghurt? How about coconut creme as a substitute? Yogurt…hmmm, I have never tried it with yogurt, but I think that would be delicious too. 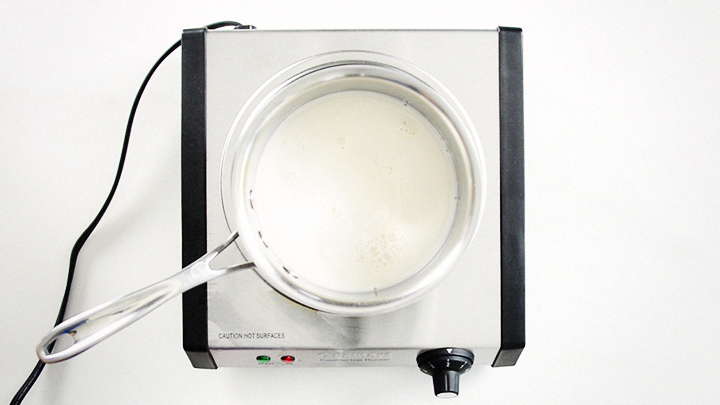 Yogurt may curdle if you add it all at once to any hot mixture. I would try starting with 2 cups almond milk and omitting the cream. Then follow the directions, but change the last step of part 1, which is add the yogurt bit by bit by spoonful (to help prevent splitting it). Now this is how I want to beat the heat. They look super refreshing and so easy to make too. Me too Dannii! Try and let me know what you think. This looks DELISH!!!! I love the flavor combo!!! I love it too Deanna. Thanks a million for commenting. I hope you enjoy it! OH MYMYMYMYMY!!!! I would love nothing more than this tasty pop right now! A perfect treat for these steamy summer days! This look fantastic, Cindy!! And the video is awesome! 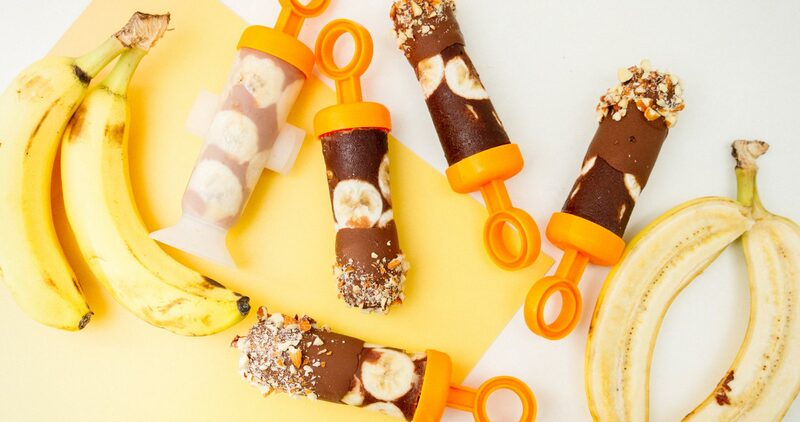 Love the bananas on the outside of those pops….nice touch 🙂 Perfect summer treat! OH wow, these looks so good and I know my kids and I! would love them. I have never seen these popsicle makers. So cool! LOVE all the flavors in this frozen treat. Plus, those molds are really cool looking!